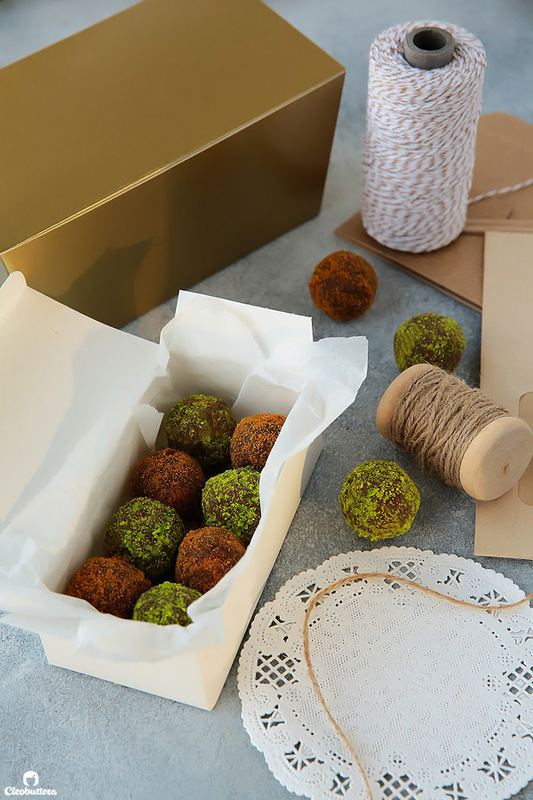 Delightfully soft date balls studded with crunchy chunks of biscuits and flavored with warm spices. 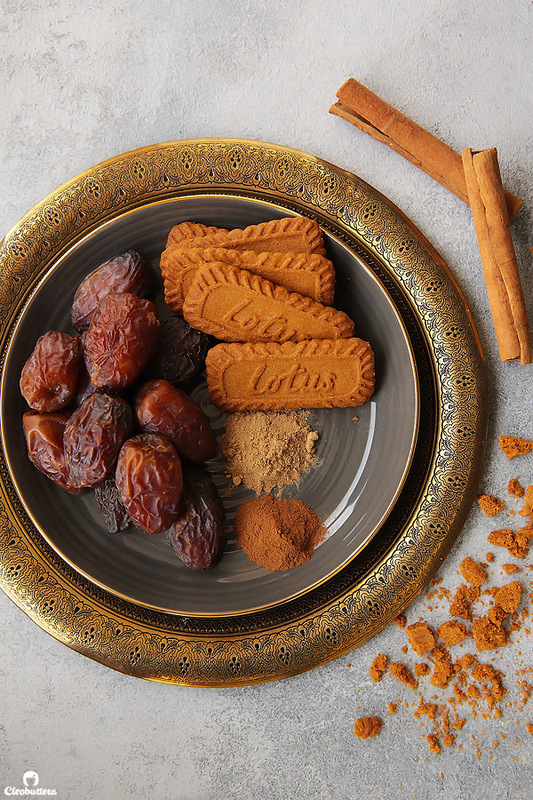 Make them with Lotus biscuits for that caramelized gingerbread flavor it’s loved for, or Digestive biscuits and cardamom to go with that perfect cup of Arabic coffee. Nothing screams Ramadan more than dates! Its that essential power battery that gets us through a long day of fasting, and the charger we plug in when its time to break it. We’ve always been taught to break our fast over 3 dates, as they’re known to be an immediate source of energy. 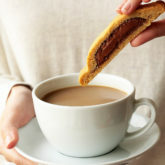 They basically provide the body with natural sugars, that moderate blood sugar level after fasting all day. 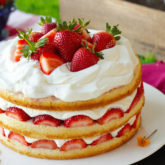 They also quickly bring down the feeling of hunger, which prevents from rushing into excessive food during iftar, which can cause digestion problems. 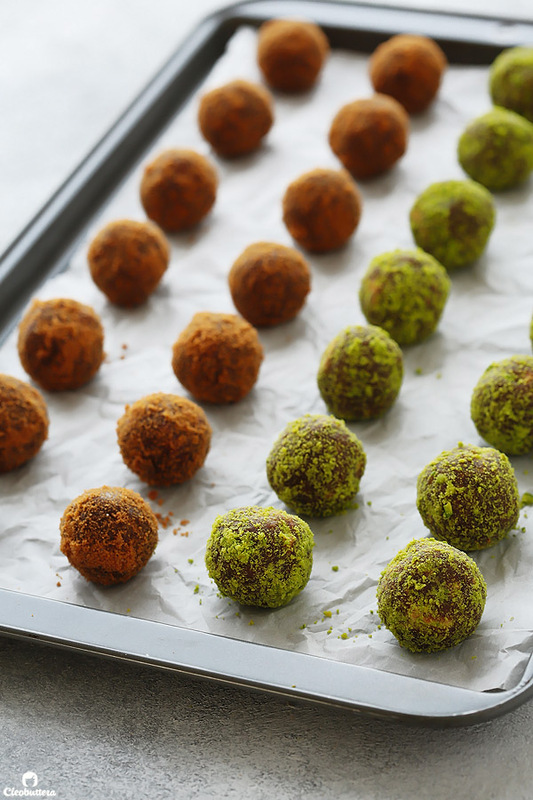 Which is why I’ve made you these Date Biscuit Balls, that are not only nutritious but unbelievably delicious. These balls make for a really nice change than the traditional straight up dates. 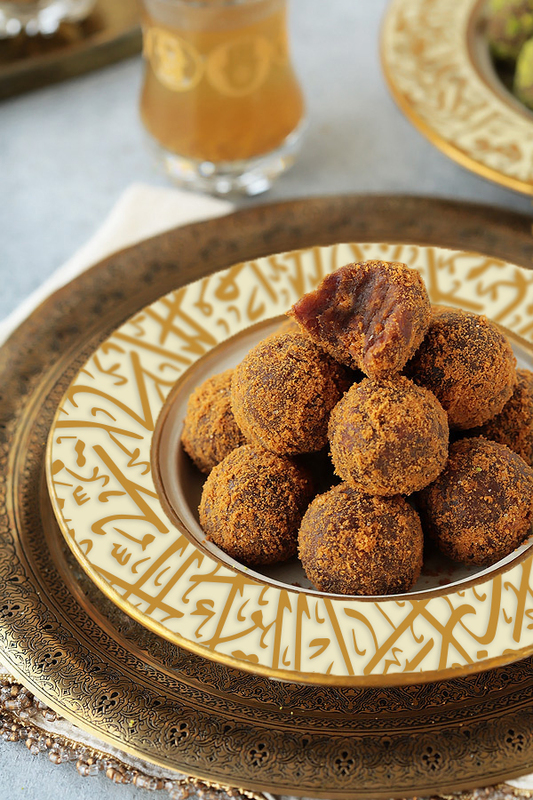 They’re perfect for breaking fast or for nibbling on with a nice cup of Arabic coffee and a pleasant conversation. 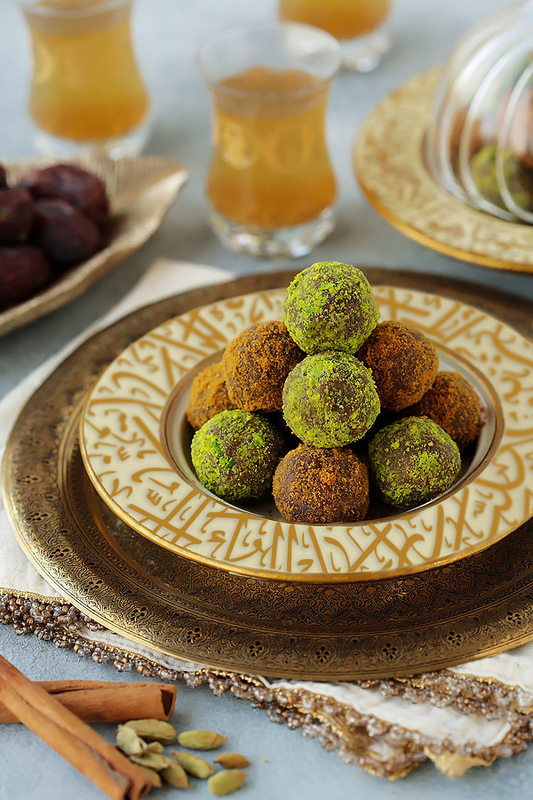 Just what you need in Ramadan if you take part in it, or a great tasting energy ball year round. 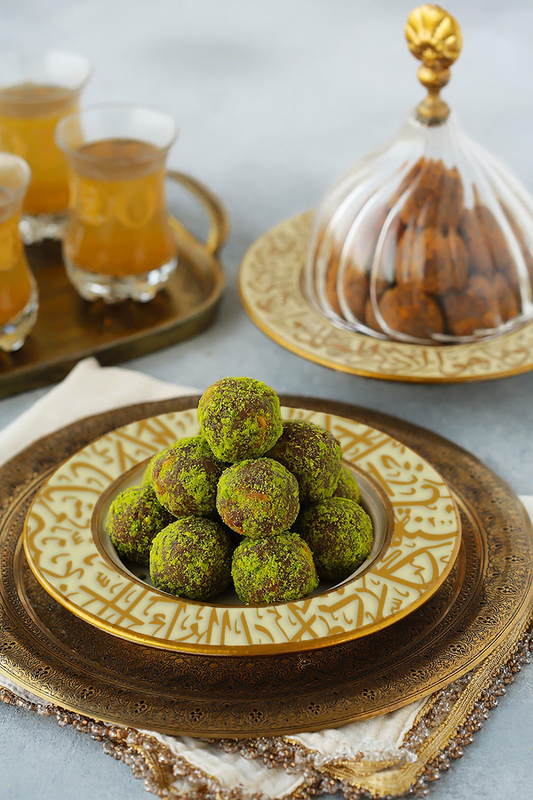 They’re so simple yet humbly elegant, and make the nicest gift for iftar hosts and any holiday gathering alike. 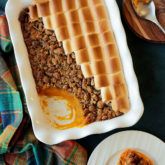 They’re soft and crunchy at the same time and subtly kissed with the coziest spices. 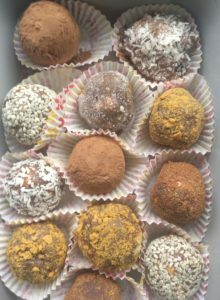 The balls are mainly made up of soft, naturally sweet dates and studded with biscuits (cookies) of your choice for a welcomed crunch. They come in 2 varieties: Digestive Cardamom. And my favorite Lotus Ginger. 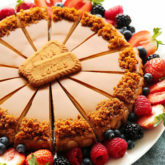 I mean…Lotus (aka Biscoff) is all the rage right now and for a good reason. That thing is addictive. 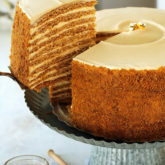 Those caramelized gingerbread-y notes its known for, make everyone weak in the knees. 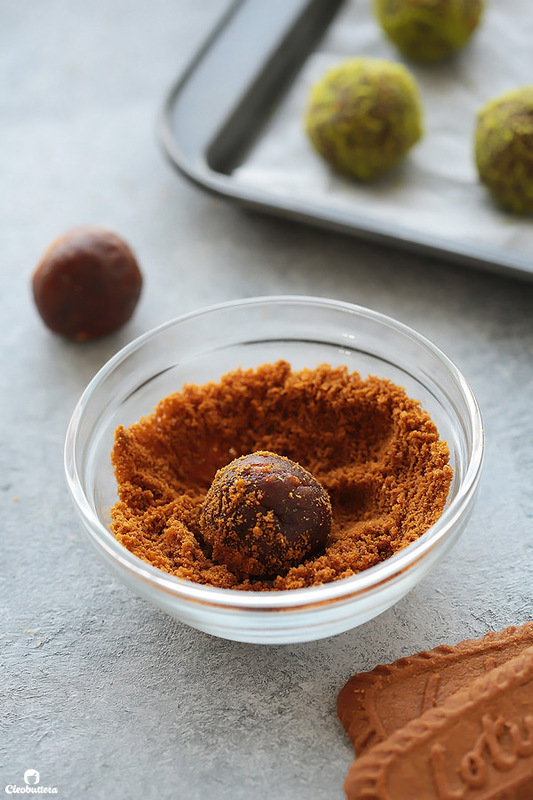 I have a recipe for Biscoff Explosions Cookies here that everyone just goes nuts over, and I wanted to translate these flavors into the date balls. Best decision ever! 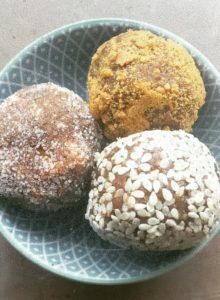 The date balls not only have crushed Lotus in them, but if that’s not enough, they’re also rolled in ground up biscuits. But that doesn’t mean the Digestive Cardamom ones are any less delicious. They are delectable! 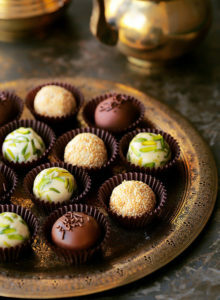 They taste like Arabic coffee, which is mainly cardamom-flavored, in food form. Only sweeter because of the dates. A coating of ground pistachios not only makes them gorgeously green, but adds a nutty flavor that goes perfectly with the cardamom. You can make one or the other, depending on your flavor preference, but I love making both, because who can say no to variety. 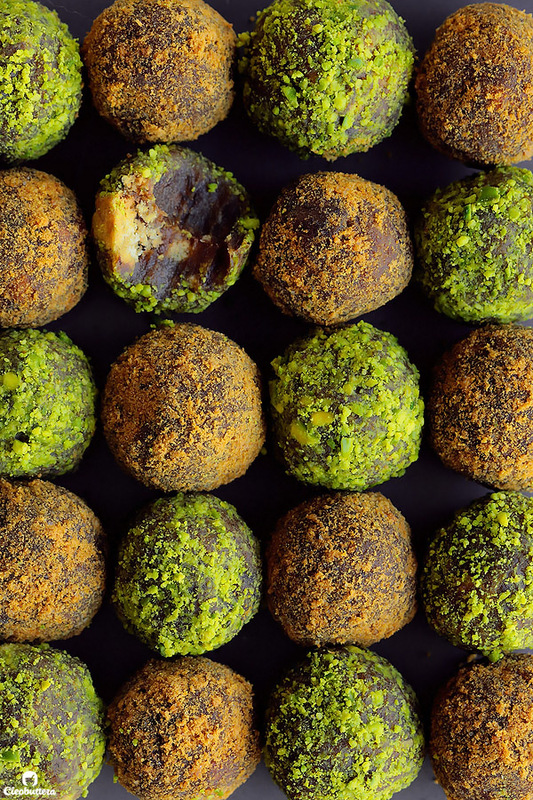 Both types of date balls come together in no time and use up very little ingredients. The date base is the same for both, until you start adding the spices and biscuits. 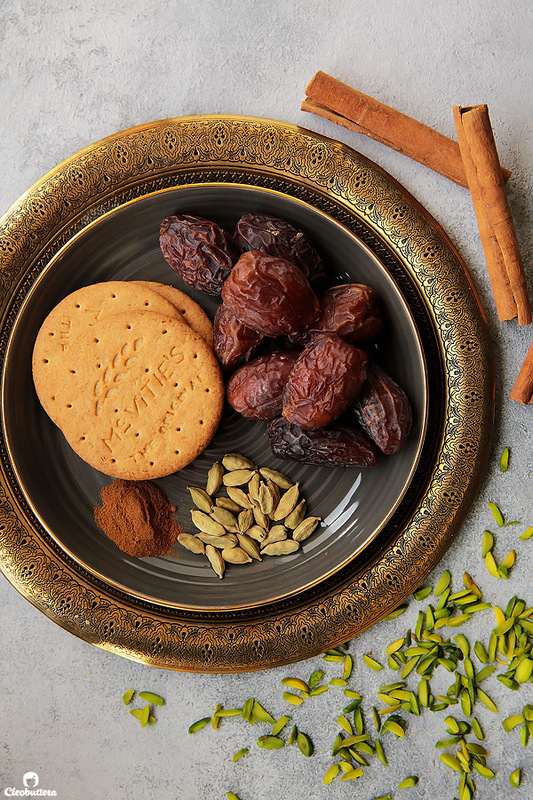 The Digestive Cardamom ones are spiced with both cardamom and a hint of cinnamon, contain chunks of Digestive Biscuits, and rolled in ground pistachios. As for the Lotus Ginger variety, as mentioned earlier, they’re flavored with spices already present in the cookie itself for a more pronounced Lotus-y flavor. They have ginger and cinnamon, bits of Lotus biscuits and rolled in more Lotus. 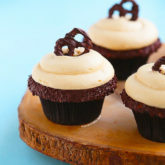 It’s basically a Biscoff Lotus bomb. You start by sautéing the softest dates you can find in a little butter. Butter? Yep! I never claimed these balls to be completely guilt-free. Packed with energy? Yes! Guilt-free? Hmmmm not really. Trust me…I tried to skip the butter, but its so much better with it. Obvi. Sauteeing in butter does 2 things here: softens the dates, so they’re easier to process, and caramelizes its natural sugar, to heighten its flavor. I love Medjool dates, but any soft dried dates will work here. You just want to make sure to sauté them until they become very mushy and your house smells like caramelized heaven. After that, you’re gonna puree them in a food processor with the spices. It should process easily and the texture should be nice and pliable. Depending on the freshness of the dates and its type, this might not be the case. If so, then you could add hot water, 1 teaspoon at a time, until you’re happy with the consistency. Don’t flood it though, or it will be too soft to shape into balls. Then in goes the biscuit chunks. Hello Lotus! 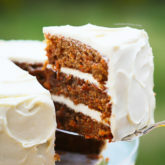 If the mixture is too soft and sticky to work with, just give it a quick chill in the fridge and then it will be ready to roll. 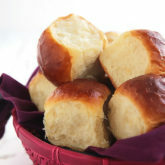 Roll into 1 tablespoon size balls and coat them with ground lotus biscuits for the Ginger Lotus ones. And ground pistachios for the Digestive Cardamom bunch. 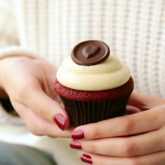 …to boost your energy and sweeten your day. Delightfully soft date balls studded with crunchy chunks of biscuits and flavored with warm spices. 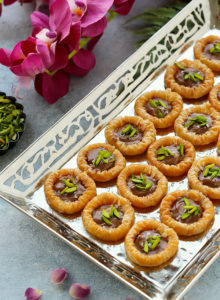 Make them with Lotus biscuits for that caramelized gingerbread flavor it's loved for, or Digestive biscuits and cardamom to go with that perfect cup of Arabic coffee. 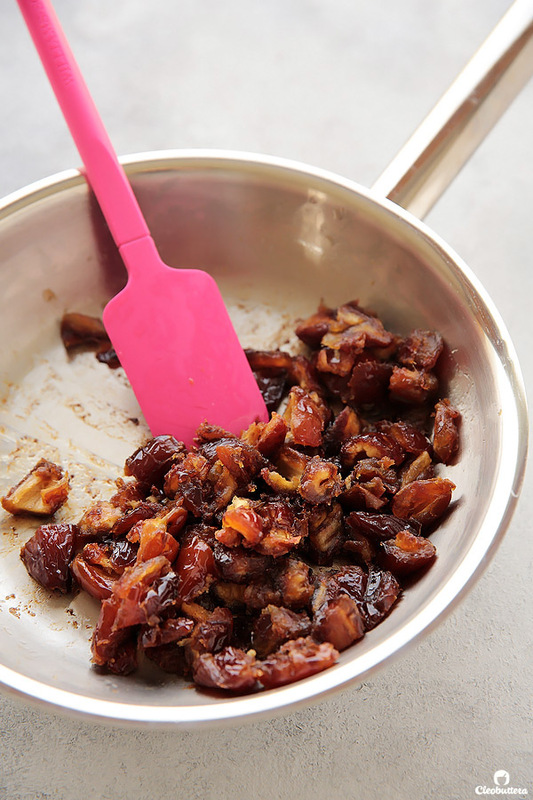 Roughly chop pitted dates into medium chunks. In a medium skillet, melt the butter over medium heat. Add in the chopped dates and stirring continuously, sauté the dates until they become very fragrant, mushy and paste-like when pressed on with a spatula. 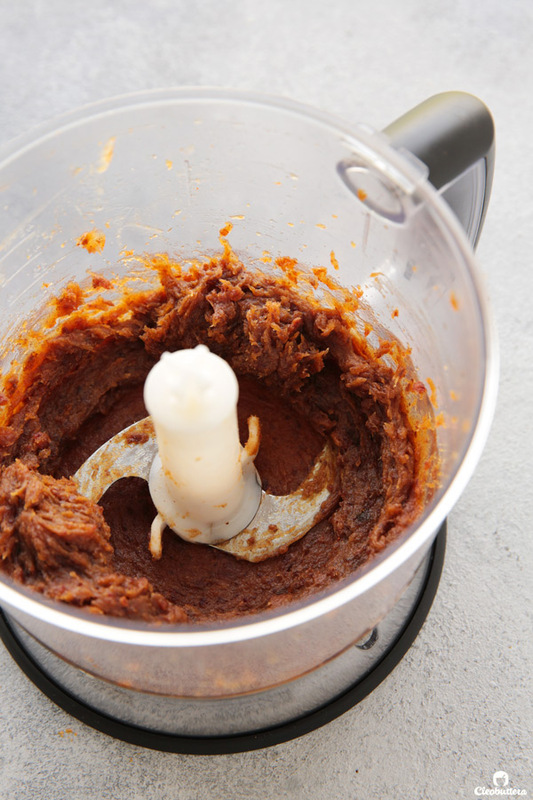 While still hot, transfer the date mixture to a food processor, add in the spices of the respective flavor variation of choice (either Digestive Cardamom or Ginger Lotus), and process until smoothly pureed and homogenous. 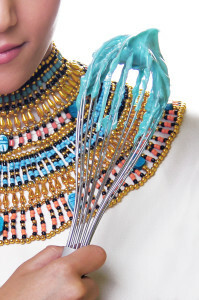 If its not blending up into a smooth paste, add in hot water, 1 teaspoon at a time, until it reaches a smooth paste-like consistency. 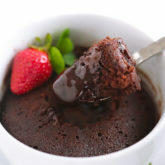 Be careful not to add too much water, as this could soften it up too much to be shaped into balls. 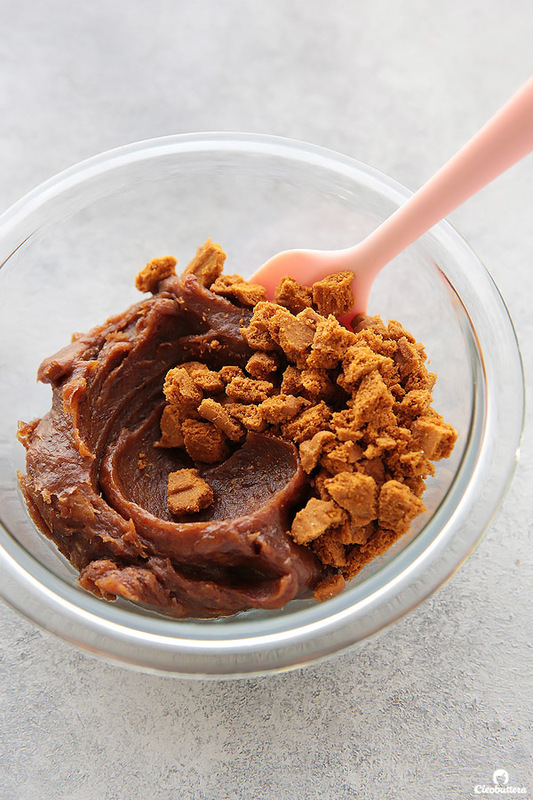 Transfer the date mixture to a medium bowl, and fold in the crushed biscuits of the flavor variation of choice (either Digestive or Lotus). Cover the bowl and refrigerate until barely warm, about 15 minutes. This makes them easier to shape into balls, without sticking to your hands. Do not refrigerate until cold, or the coating won't easily adhere to the balls. 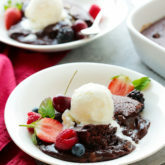 Using a 1 tablespoon-size mini ice cream scoop or a 1 tablespoon measuring spoon, scoop out the date mixture onto a baking sheet. 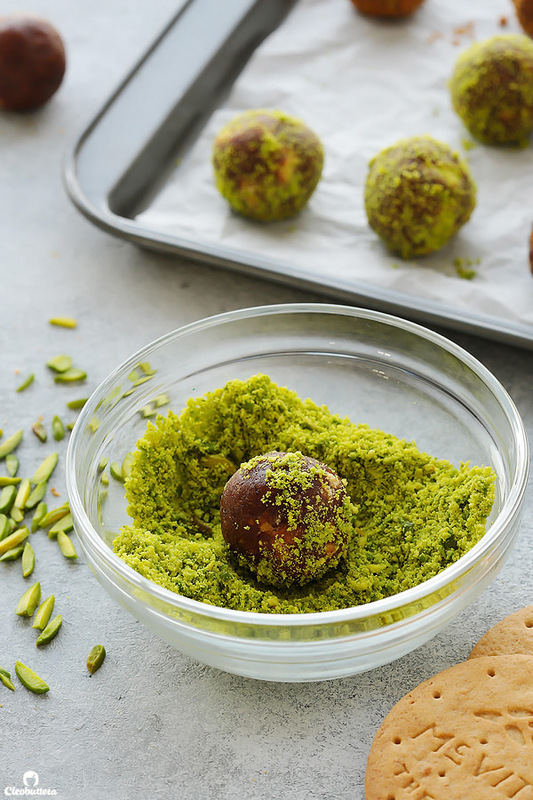 Roll the scoops into balls then roll into the coating of the flavor of choice; ground pistachios for Digestive Cardamom or ground Lotus for Lotus Ginger. 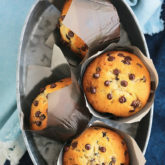 Place in mini cupcake liner if desired, then arrange on a serving platter or gift box and serve at room temperature or cold. Store leftovers in an airtight container. 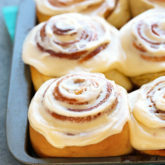 They will keep well at room temperature for about a week, if not longer, and in the fridge for over a month. Please note that this recipe makes about 20 balls of 1 of the flavor variations only. 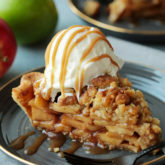 If you would like to make both variations, double the Date Base recipe, divide in half equally, then flavor each separately with the flavor of your liking. I’ve been following up on your valuable site for over two years now. Everything here a super amazing. 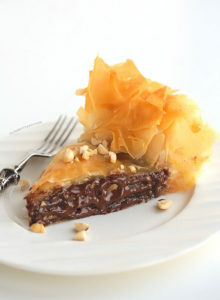 Quality recipe, quality write up and quality photos. First time I came across this website I was mesmerized and continue to. Thank you so much Maha for your kind words. I’m so humbled and flattered by them. You’re the sweetest! Can I ask, how long can I keep this ? They will keep well at room temperature for about a week, if not longer, and in the fridge for over a month. 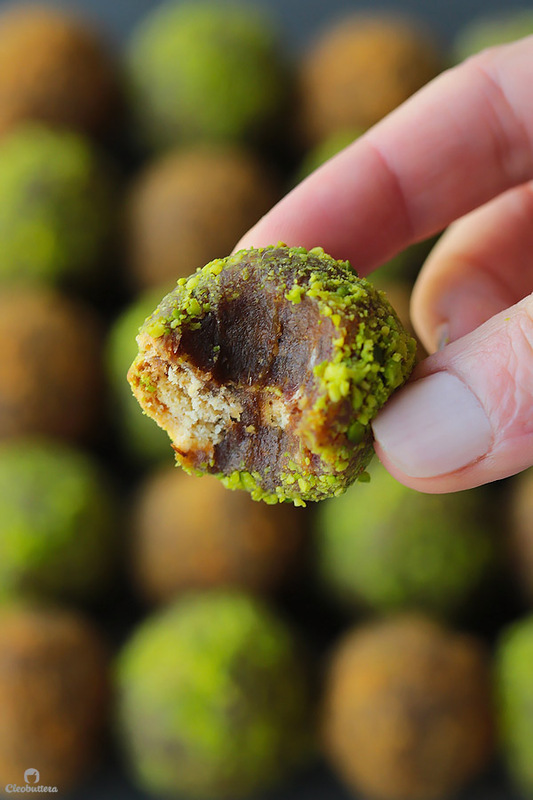 These date balls are out of this world!!! We love them. You are our hero here at our home, its like hubby says go check something on Cleobuttera’s website and do it for us!! Hahaha lol. Honestly i just browse here to feel happy. And we have this thing, my kidos just love watching ur videos. Its our thing now. U tend to bond us all together and u dont even know it! As per this recipe, i grind some oats very fine and sneaked them in. For the nutrition and hubby didnt notice and thats one big thing. And we have nut allergies so i just added powdered sugar and cinnamon to coat them. Just thanq for all the dedication u give to each and every recipe of urs. Ur amazing. 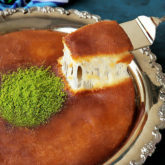 I did the russian honey cake, chocolate and marshmallows kunafa pie, baklawa, date balls, orange cake, italian hot chocolate <3, skinny cookies, lemon cake, mehalabeya and OMG the basbousa. And u never ever failed me!! Planning to do the kahk soon enough and i will update u.
Oh Sara…your comment is making me feel all the feels (goosebumps, blushing cheeks, smiling from ear to ear and all!) I have no words to express how grateful I am to be a part of your family’s special time together. WOW! Looking at it from this perspective gives so much meaning to what I do. So thank you this! These turned out to be out of this world. Thanq again and again and again.